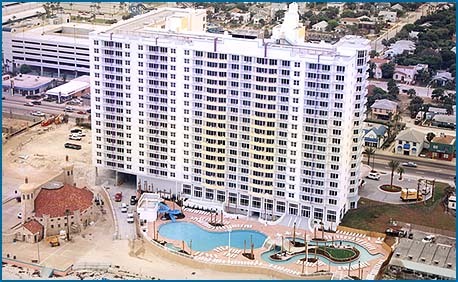 and is located in the heart of Daytona Beach in a car free beach zone. Enjoy numerous recreational facilities including a free form oceanfront pool with water slide, a 300 foot lazy river with center island putting green, indoor heated pool, spacious exercise room and a game room. Other features include a food court and bar area in the lobby.